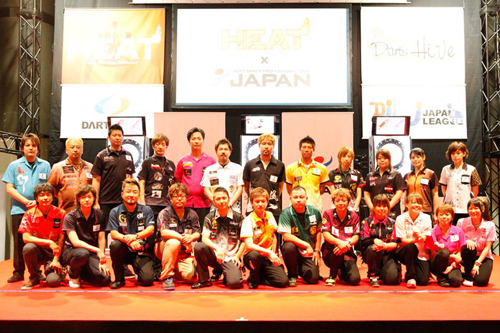 On July, 28th , SOFT DARTS PROFESSIONAL TOUR JAPAN STAGE6 was held in MIYAGI, Japan. Now our new JAPAN16 is born. SHO KATSUMI has won his first title in JAPAN, FUJIO HONJO ended at the 2nd place. In JAPAN LADIES8, YUKARI TANIKAWA has topped the competition. 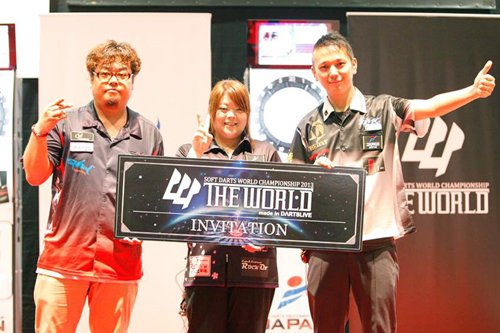 In JAPAN × THE WORLD EXHIBITION, FUJIO HONJO / SHO KATSUMI / SAYURI NISHIGUCHI team has won the title, and won their right to challenge [THE WORLD 2013].